The message is prevalent: it’s normal to drink wine, even in copious amounts. Shira Greenfield, clinical manager of behavioral health at Centegra Health System in McHenry County, helps to treat patients with behavioral and mental health disorders. Her patients are age 18 and older, and they come from all walks of life, with a variety of diagnoses. She sees patients with anxiety, depression, bipolar disorder and post-traumatic stress disorder (PTSD), and many of these patients also have a substance abuse disorder. When it comes to women and addiction, Greenfield is seeing a recent influx of patients. “I think women and mental health are discussed in the media, at least, when it comes to depression and anxiety, but women and substance abuse aren’t talked about as much,” she says. She recalls a commercial she recently saw on TV. 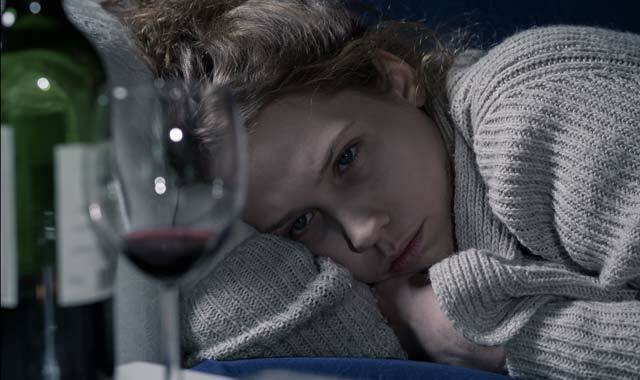 Greenfield urges people against using alcohol as a coping mechanism – especially since her patients with an alcohol addiction oftentimes struggle with nearly every aspect of life. “Ads used to tell women to take a bath to relieve stress, not drink six glasses of wine,” she says. “An addiction affects everything. Certainly, it affects relationships. There are often financial and legal implications. In more advanced cases, Greenfield has seen patients need a liver transplant as a result of their addiction. However, thanks to treatment, most of her patients get the help they need before it escalates to that level. “We just want people, especially women, to be more aware that not all wine-drinking is harmless,” she says. As Centegra’s program coordinator of outpatient services, Siobhan Petrie leads two programs for mental health patients. Like Greenfield, she has also seen a fair share of women with substance abuse disorders. The first program Petrie leads is an intensive outpatient program for patients with a mental health diagnosis. Patients attend group therapy and/or individual therapy for three to six hours a day, depending on the severity of their symptoms. The second program operates similarly but is for patients who have a co-occurrence of both a mental health diagnosis and a substance-abuse diagnosis. Petrie is seeing more and more women in the latter program. Her patients range from age 18 to age 60 and older. Turn on the news, and you’ll inevitably hear about an opioid epidemic sweeping the nation. Opioids are drugs that react with receptors on nerve cells to relieve pain and cause pleasurable feelings. They include legal drugs prescribed for chronic pain and illegal drugs, like heroin. According to Petrie, women metabolize alcohol and drugs at a faster rate than men, and the period of time in becoming physically dependent on alcohol or opioids is shorter for women than for men. Between 1999 and 2010, overdose death from prescription painkillers increased more than 400 percent among women compared to 230 percent among men, according to the Centers for Disease Control and Prevention. Heroin use among women between 2002 and 2012 increased 100 percent, compared to 50 percent among men. According to the Centers for Disease Control and Prevention, women are more likely to see a doctor than men. They’re also more commonly diagnosed with chronic illnesses that have a physical pain component, such as migraine headaches, arthritis, fibromyalgia and rheumatoid arthritis. Sometimes, it can be difficult for patients to distinguish chronic pain from depression, Greenfield adds. When it comes to treating substance abuse disorders, for both men and women, Petrie emphasizes there are many ways to manage pain and not all of them are pharmacological. Meditation, physical therapy and biofeedback are other options to help manage pain. Plus, the benefits of both individual and group therapy cannot go unnoticed. “With mental health concerns, the first thing I would encourage someone to do is see an individual therapist,” Petrie says. “It’s really nice to have a third-party individual who is not involved in your life in any way, shape or form, who can be there to listen, give some healthy coping skills to manage stressors, and be there to guide you through what’s going on in your life. At Centegra, many types of expressive therapies – such as art, writing and yoga – also can be incorporated into treatment plans. Centegra programs emphasize healthy habits for nutrition, exercise and sleep, Petrie says. As a licensed clinical professional counselor, Paul Martin provides individual counseling for youth and adults ages 5 and up at Presence Saint Joseph Hospital, in Elgin. He commonly treats anxiety and depression in adults, while the majority of his younger patients have impulse control and behavioral issues. Martin’s work also includes families and, at times, couples. He has extensive experience with court-mandated anger management and domestic violence groups. Martin has an additional advantage of being bilingual in English and Spanish. Not only does this broaden his clientele – many of his patients are of Latino/Hispanic descent – but it also deepens his understanding of the importance of communication. In the wintertime, Martin sees an uptick of seasonal affective disorder (SAD) in his patients. If there’s no deficiency behind why a person is feeling depressed, then Martin typically meets with the patient. First, he uncovers the patient’s negative thoughts and learns how those thoughts affect the patient’s mood. Then, Martin helps his patients reframe those negative thoughts to include positive ones. Regardless of what disorder Martin is treating, his job is to meet with patients, listen to them, understand, and help them empower themselves. No two sessions are alike. Martin adds that it’s an accomplishment if the patient learns at least one new thing about himself or herself during a single session. Therapy can sometimes take many weeks or months to notice significant gains. If you or someone you know is in an immediate crisis, call the National Suicide Prevention Hotline at (800) 273-8255, call 911 or go to the nearest emergency room. If your crisis doesn’t involve immediate results, make an appointment with your local mental health professional. Schedule an appointment with Paul Martin, at Presence Saint Joseph Hospital in Elgin, by calling (708) 410-0615. For more information about Centegra’s intensive outpatient programs, call the behavioral health intake line at (800) 765-9999. This entry was posted on Tuesday, January 9th, 2018 at 12:00 pm	and is filed under Health & Fitness, Top Posts. You can follow any responses to this entry through the RSS 2.0 feed. Both comments and pings are currently closed.